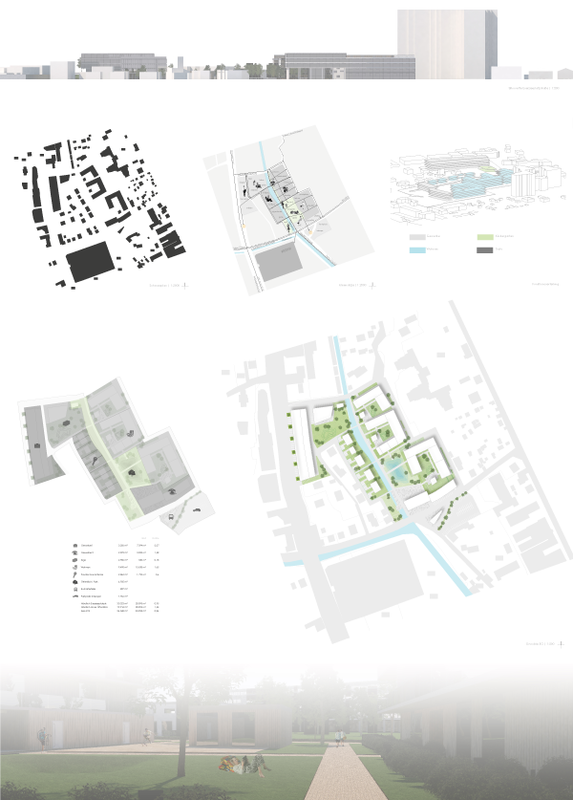 In design 2 "Stadtwohnen am Mühlgang" we develop urban development drafts for a 2.3 ha large area in the north of Graz. A special feature is the location on the Graz Mühlgang system and the heterogeneous building structure in the surrounding area. 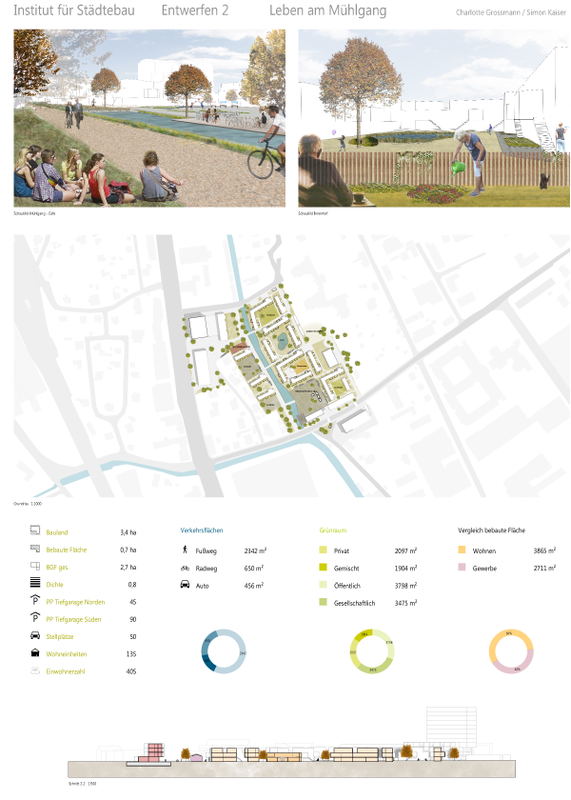 Urban configurations that combine different uses (living, working, supply, trade, ...) are to be developed. The aim is to include different levels of scale as well as functional, design-related and social aspects in the urban planning design. This semester's focus will be on the topic of water, due to the water areas available on site.